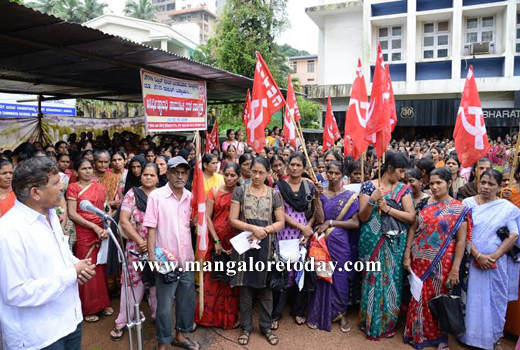 Mangalore, Aug 12, 2014: The CITU commenced an indefinite dharna on August 12, Tuesday in front of the Bharath Beedi office at Kadri here demanding the hiked Rs 21.15 Dearness Allowance with effect from April 2014. 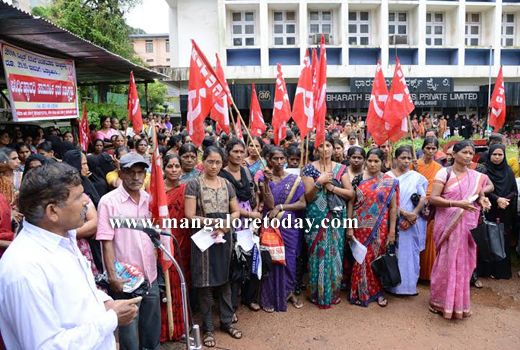 The protestors alleged that the managements were not striving towards the welfare of the work force and alleged the workers were cheated by not providing the DA due to them. 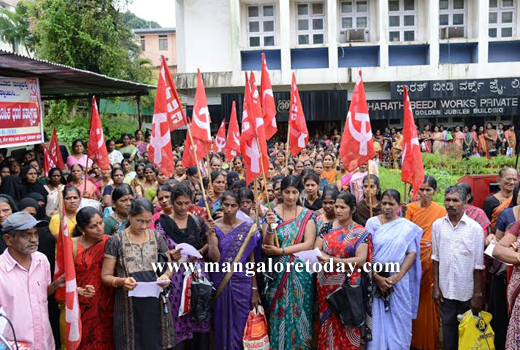 They also stated that the beedi workers were finding it difficult to eke out a living in this age of soaring prices of essential commodities. 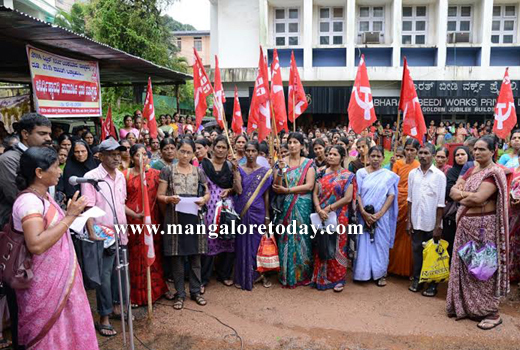 J Balakrishna Shetty, Secretary of CITU, V Seetaram Berinja, Secretary of South Canara Beedi Workers Federation and others were present.